Pandas are an endangered species, with only a few thousand giant panda bears living in the wild and in zoos. They are a beautiful animal that many consider a gentle giant. 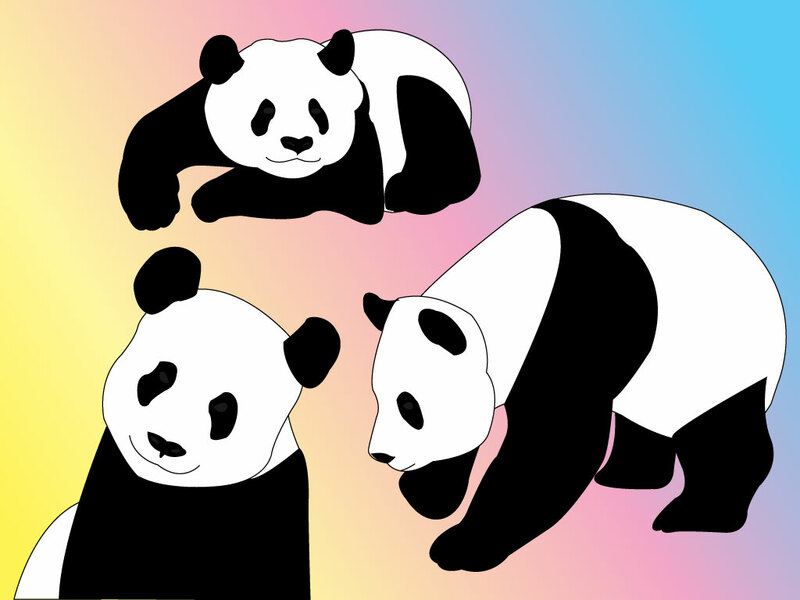 Download this Panda pack for your wildlife designs. Tags: Animal, Asia, Balck And White, Bear, China, Endangered, Pandas, Wildlife.